We've already seen Mac DeMarco deliver a live performance of "This Old Dog" at a dog-grooming parlour, but now the title track from his upcoming album has been treated to a totally official music video. DeMarco directed the clip himself and filmed it in his new hometown of Los Angeles. 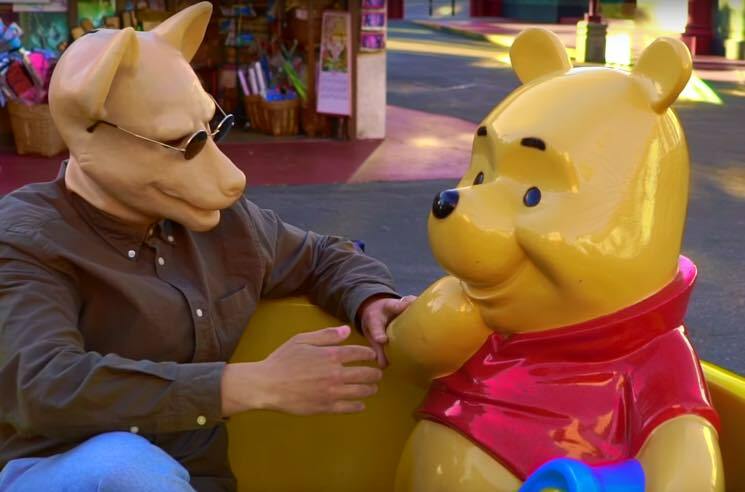 It features a trio of dog mask-wearing folks sightseeing around the city — interacting with each other, nature and Winnie the Pooh on a children's ride. This Old Dog arrives on May 5 via Captured Tracks/Royal Mountain Records, and you can find information for DeMarco's upcoming live shows here. Right now, though, watch the video for "This Old Dog" below.